The BIG KGF Raffle – Coming Soon! So many great prizes for gardeners! And thanks to our generous local sponsors. September is our raffle month. We will be sitting inside IGA at Kandos on three Fridays in September – 6th , 13th and 20th. Hopefully we will get good warm Spring days because it can be a bit miserable in front of the opening and closing doors. However we can’t complain – the more IGA customers that come through the doors, the more tickets we will sell! We are lucky to have such a good business like IGA in town who supports local volunteer groups to hold raffles. Just imagine if we had to sit outside! We will also be selling tickets at Rylstone Markets on 14th September so please drop by. 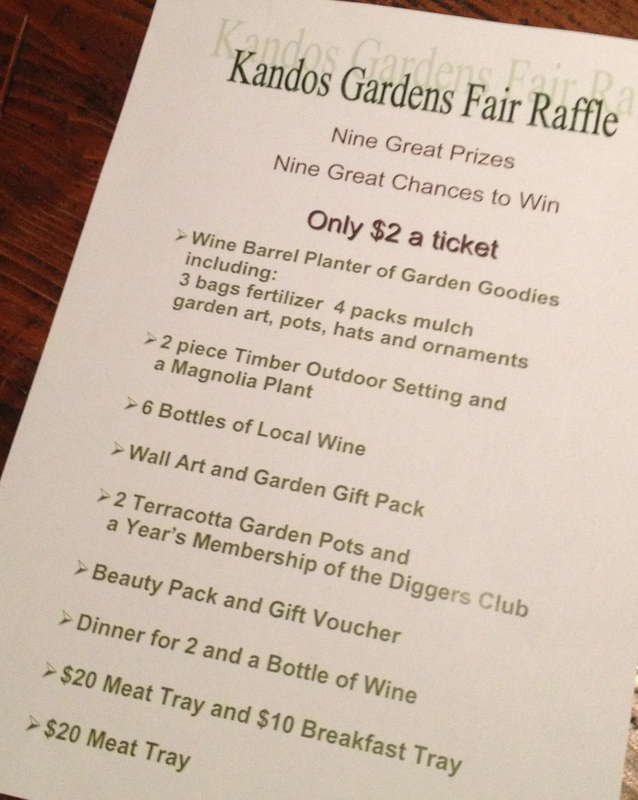 We have found the raffle is a good money-raiser and also an opportunity to promote the Kandos Gardens Fair. Our cork-boards will have a poster, photos of past KGF events, a list of our wonderful sponsors and a list of prizes. And there will be a whole bunch of orange flyers to hand out. Support from local businesses in supplying raffle prizes has been gratifying. 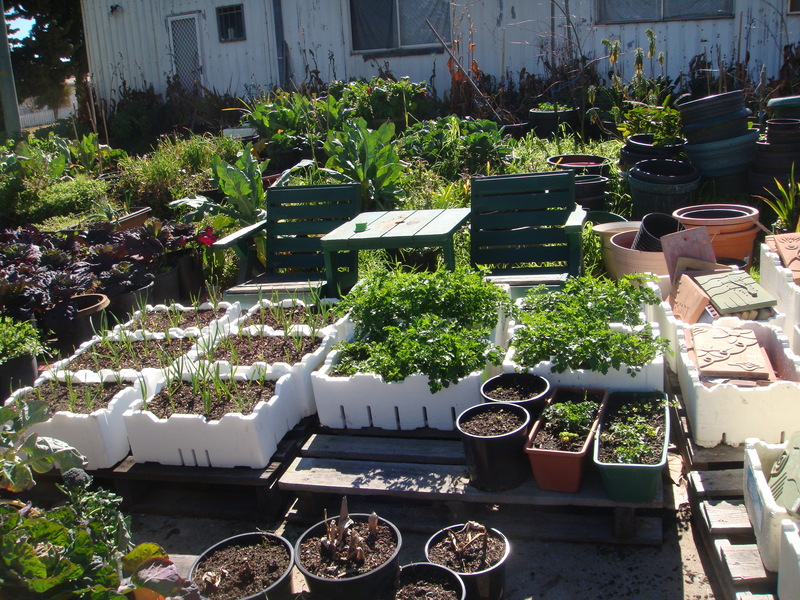 As an example Bruce’s Garden Centre in Dabee Road, Kandos, donated the wine barrel planter and three bags of fertiliser as part of our first prize. 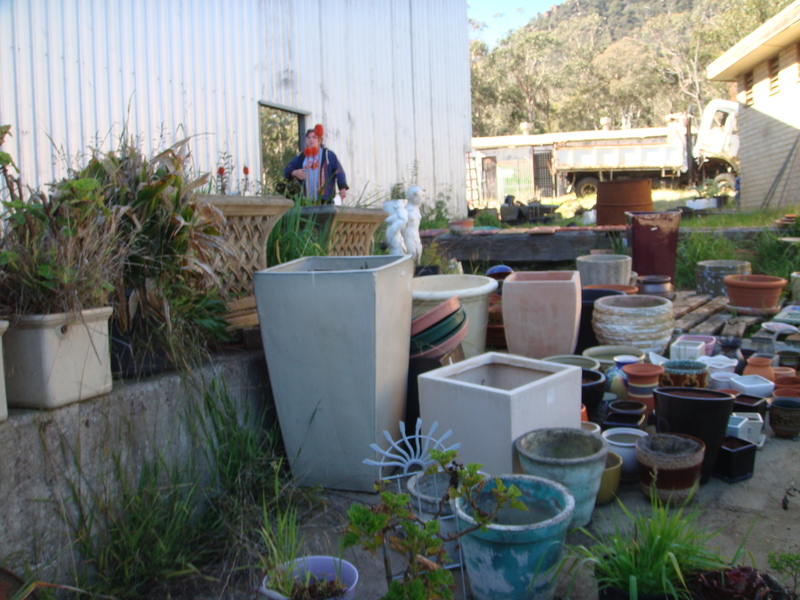 Bruce has a wonderful selection of plants, mulches, fertilisers, pots, barrels and garden art, as well as firewood (see below). Prices are good too. A number of his wine barrels and pots have been rehomed at the Convent and many other gardens in the area. It’s worth spending a bit of time at Bruce’s looking around as he has some treasures not readily found in many of the bigger commercial nurseries. Rylstone Agricultural Supplies donated the four packs of mulch for the first prize. Colleen’s chooks (sadly no longer with us) would highly recommend the chook food from there. Spend some time investigating Bruce’s Garden Centre and you’re sure to come away with a treasure.